World Cup semi-finals are exciting affairs, but they are usually not very high-scoring. 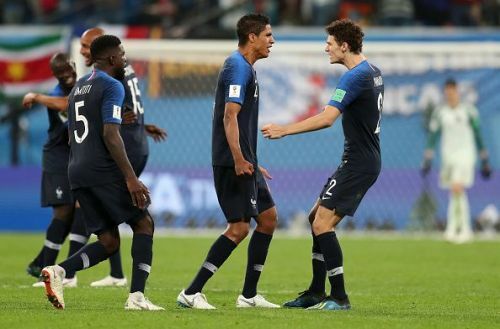 France vs Belgium was no exception as the semi-final had everything: two teams that gave it their all, France’s resolute defending, Eden Hazard’s dribbling, Kylian Mbappe’s dynamism, missed chances and some disciplinary tension at the end. So what were some of the winners and losers from the first semi-final of the World Cup? It is very rare that one sees an almost-perfect defensive effort exemplified by every single player on the team. Didier Deschamps set out his team to primarily defend, as 29% of the action occurred in France’s third. Belgium began brilliantly as the likes of Eden Hazard, Romelu Lukaku and Kevin De Bruyne laid siege to the French goal. Lesser defences would have buckled under this pressure, but Les Blues were simply too good as they repelled attack after attack. The same was true after France scored the opener in the early stages of the second half. After this point, Belgium pressed forward with greater urgency as Roberto Martinez made three very attacking substitutions. However, no matter the number of attackers on the pitch, France’s defence had an answer to every question. Raphael Varane was particularly brilliant in the centre of the park, as he made six clearances in the semi-final. Similarly excellent was Lucas Hernandez who did a brilliant job of containing Kevin De Bruyne throughout the game. While Benjamin Pavard was often put on skates by Eden Hazard, he recovered on enough occasions to stop the Chelsea winger. Did I mention Samuel Umtiti, who was imperious at the back and also scored the winning goal? What can we expect from the France vs Belgium match?